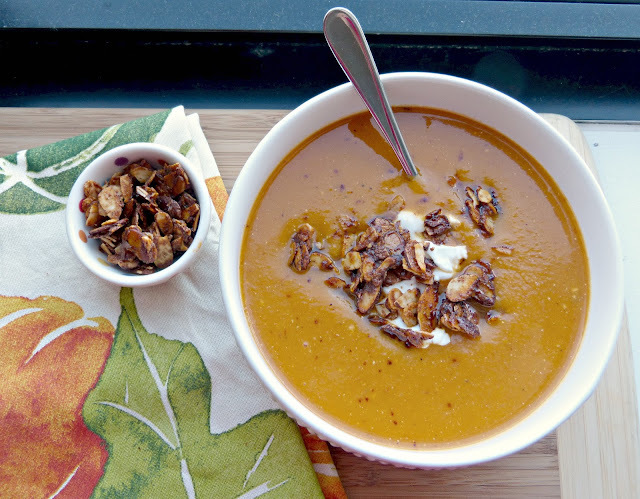 Craving a hearty soup on these chilly fall evenings? 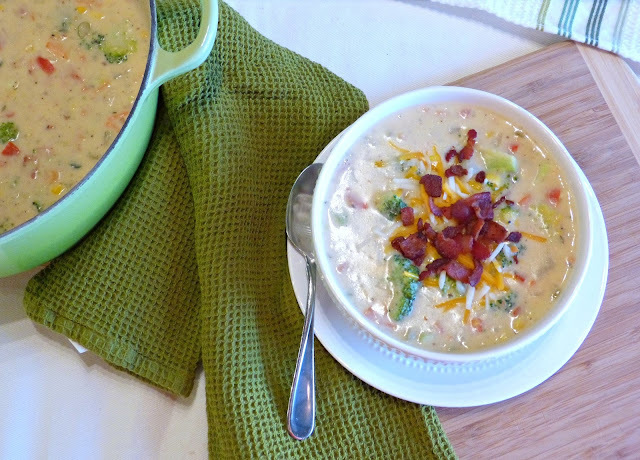 This bacon & vegetable chowder makes the perfect comforting dinner for a cozy night in. I love making a big pot of homemade soup on a Sunday and pulling it out for dinner a night or two later after a busy workday. Little weekend preparations like that make it that much easier to get through a workday and anything that helps me wind down more quickly after a day at the office is worth it in my book. And this make ahead chowder is a great way to enjoy a dinner that tastes like it's cooked all day without doing so much as reheating. 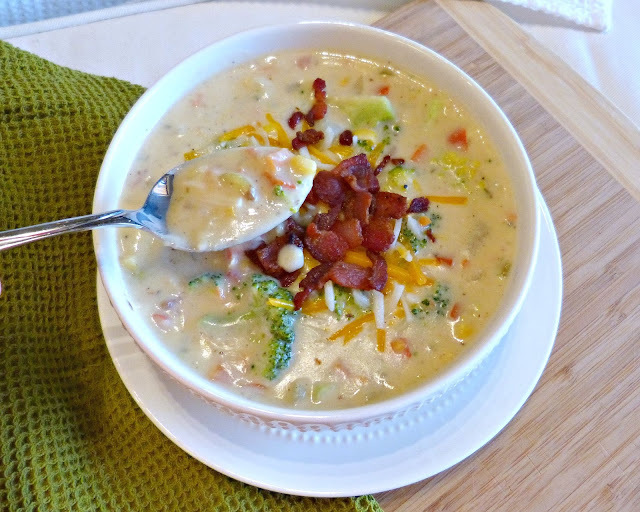 This chowder is something of a hybrid of some of my favorite soups: the hearty thickness of a clam chowder, that cheesy quality you want in a broccoli cheddar soup, and a healthy serving of a variety of vegetables like you'd find in a traditional vegetable soup. 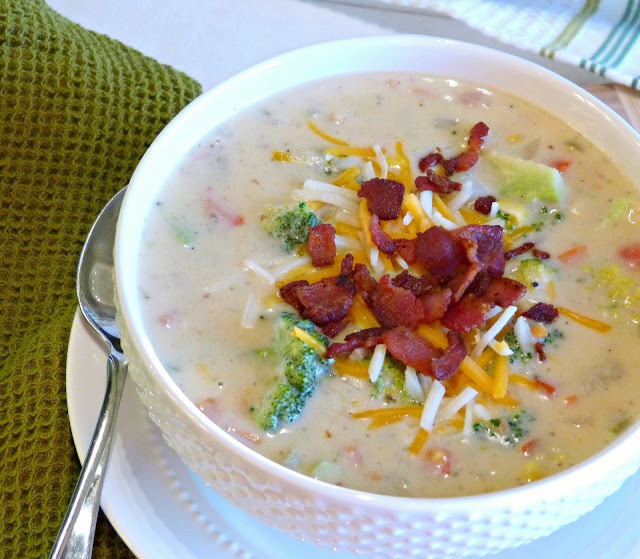 Add in the smoky deliciousness of bacon and you have a seriously tasty chowder on your hands. This soup is certainly not for those who fear dairy as the creamy base comes from a combo of half and half, low fat milk, and cheese-- along with a little natural thickening from the addition of starchy potatoes. It could easily be made vegetarian-friendly though: just skip the bacon step and swap vegetable broth in for the chicken and you're good to go. It's really a meal in itself, so add some garlic bread or oyster crackers on the side and dinner is ready! In a large soup pot or dutch oven over medium heat, cook bacon on both sides until crisp. Transfer to a paper towel lined plate to drain. Melt 1 1/2 Tbs. of the butter to the pot. Add carrots, celery, pepper and onion to the butter and saute for 4-5 minutes, stirring occasionally. Add garlic and saute for another 1 minute. Stir in chicken broth, thyme, and potatoes and season with salt and pepper to taste. Bring to a boil over medium-high heat, then reduce heat to medium, cover with lid and cook for 15 minutes. Stir in broccoli and corn and cook 5 minutes longer or until all vegetables are tender. Fold in the cooked chopped bacon. Meanwhile, melt remaining 3 1/2 Tbs. butter in a medium saucepan over medium heat. Stir in flour and cook, whisking constantly 1 minute. While whisking continuously, slowly pour in the half and. Cook stirring constantly until mixture begins to gently boil and thicken, stir in heavy cream and milk. Continue whisking until no lumps remain. Remove from heat and pour into the vegetable and bacon mixture. Remove from heat and stir in the shredded cheese until melted. Serve warm. Editor's Note: Recipe based on cheesy vegetable chowder recipe by Cooking Classy. 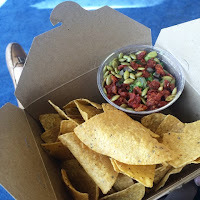 I'm back today with a second post about my recent trip to Vancouver-- and this time it is all about food! Normally, I try to do a little restaurant research before heading out on a trip-- even one for business-- but this fall has been so crazy that I didn't have much time to pack for Vancouver, let alone start my restaurant wish list. 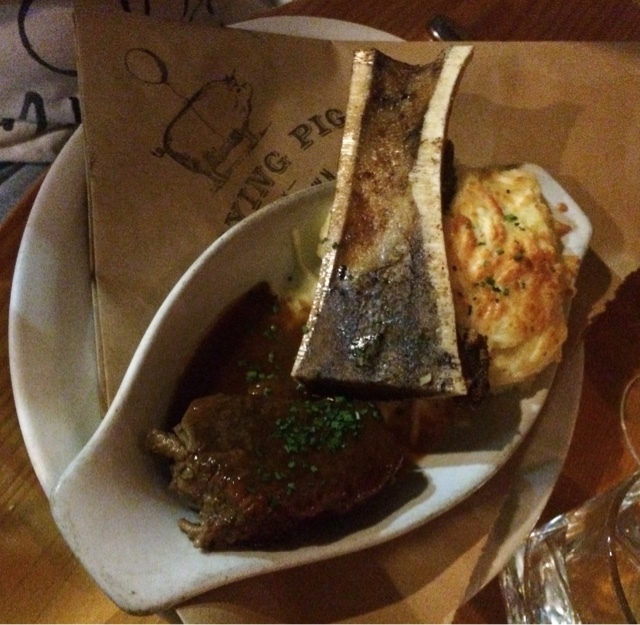 Luckily my boss is a foodie herself and did some of her own research, settling on The Flying Pig in Vancouver's hip Yaletown neighborhood for our Sunday evening dinner out. 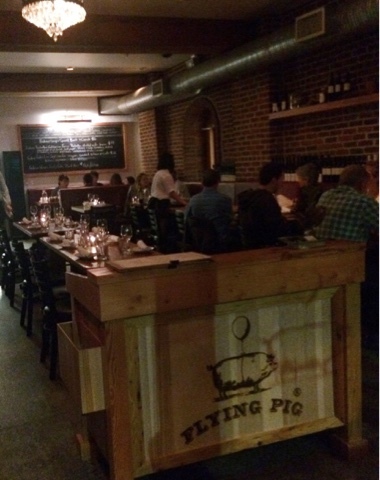 The Flying Pig has three locations throughout Vancouver, each one featuring a "nouveau Canadian bistro" menu. 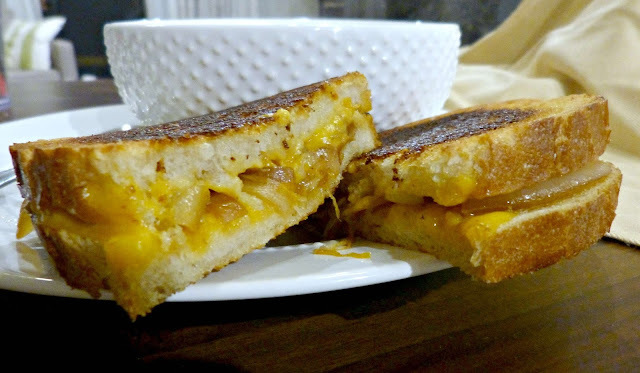 At the Flying Pig you'll find several dishes inspired by local cuisine and ingredients with a flair that's both modern and rustic-- similar to the restaurant's decor. And all of these fantastic dishes are complemented by an eclectic wine and beverage menu featuring many local BC wines. We began our meal by sharing an order of the Flying Pig's take on classic Canadian poutine. I really loved their interpretation of this often super heavy and decadent dish. Rustic cut french fries were topped with a pulled pork gravy (a departure from the traditional chicken gravy) and topped with a generous amount of bubbly melted cheese. These were fork and knife fries, for sure. One of my colleagues ordered the red wine braised short ribs at the suggestion of the server. A huge portion of flavorful and for tender shortribs arrived accompanied by roasted bone marrow and the most delicious cheddar mashed potatoes. I snagged a forkful and these potatoes were so tasty: thick, cheesy, and baked so that the inside was creamy and the exterior had a wonderful crust. Instead of an entree, I decided to sample two of Flying Pig's smaller plates. The first was the rocket & watercress beetroot salad. 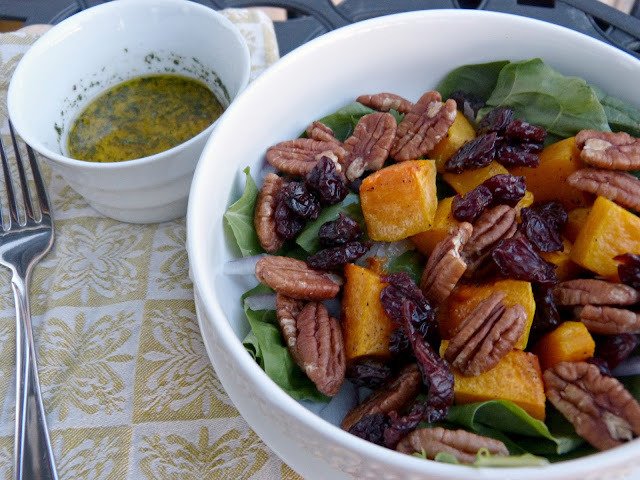 Peppery arugula and watercress were topped with beautiful roasted yellow and red beets. 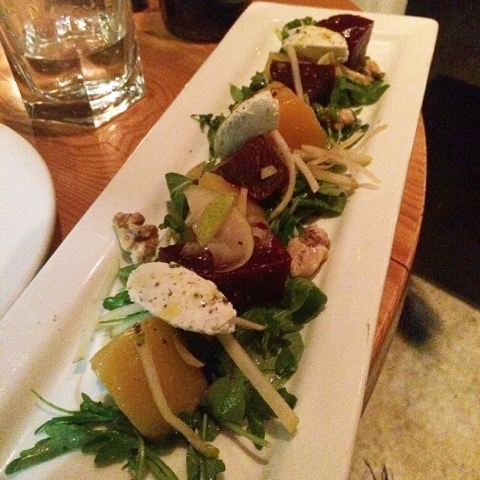 The beets were accompanied by local goat cheese, toasty walnuts, and slivers of sweet pear. The flavors were subtle and classic, but all worked so well together. Beets and goat cheese are a classic pairing, but the peppery greens and sweet pears made the whole salad come together. To go along with the beets, I also ordered the Jumbo Shortrib Macaroni. Macaroni noodles and tender chunks of beef shortrib were tossed in a flavorful cabernet cream sauce and topped with a generous amount of shredded cheese. It was all baked together, melting the cheese on top. I ordered this expecting it to be very mac and cheese-like, but the cabernet cream sauce had a wonderful rich flavor with a still brothy consistency and great beef flavor. 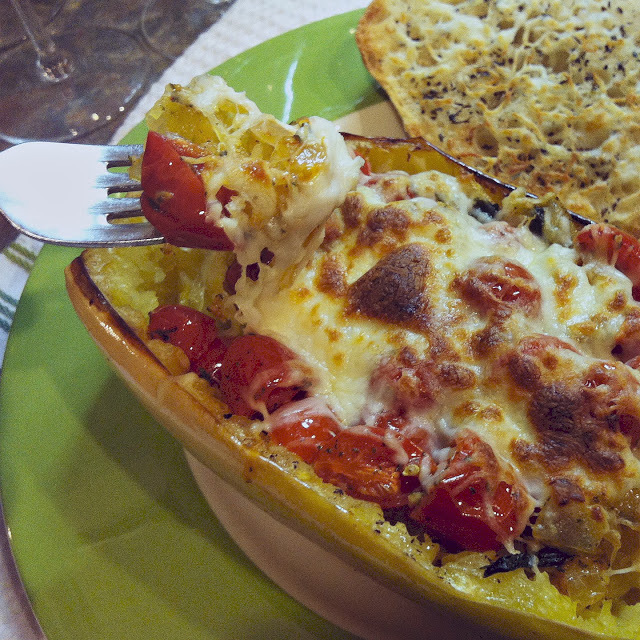 It was an addictive side dish that made for a perfect smaller (and filling) entree. We had a great meal at the Flying Pig. 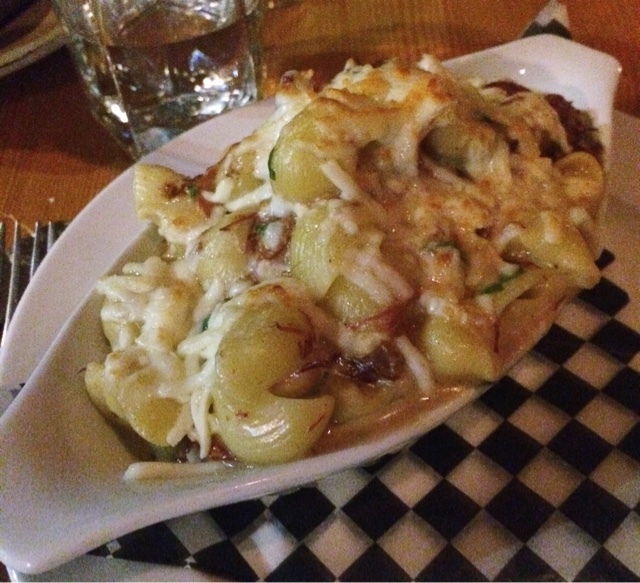 The food and atmosphere were spot on and I'd recommend it to anyone populating their Vancouver "To Eat" List! 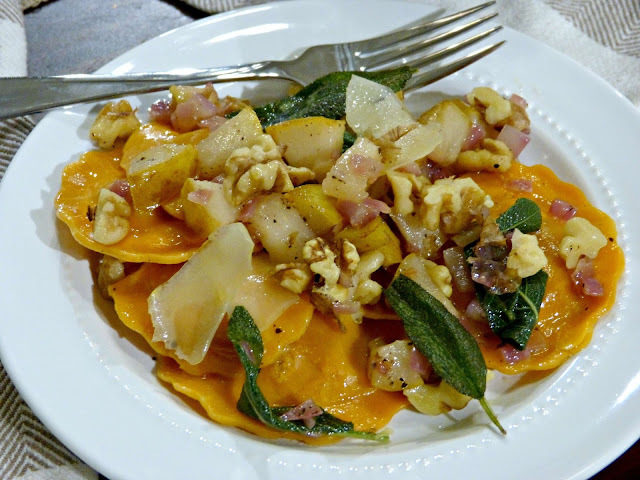 I don't post a ton of shortcut recipes here, but you readers seem to love them... Am I right? 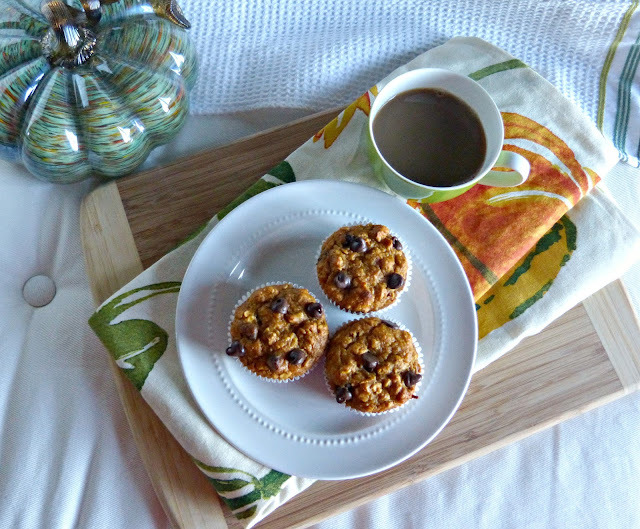 I'm changing that today with a really fun and easy breakfast recipe that's perfect for a fall weekend. 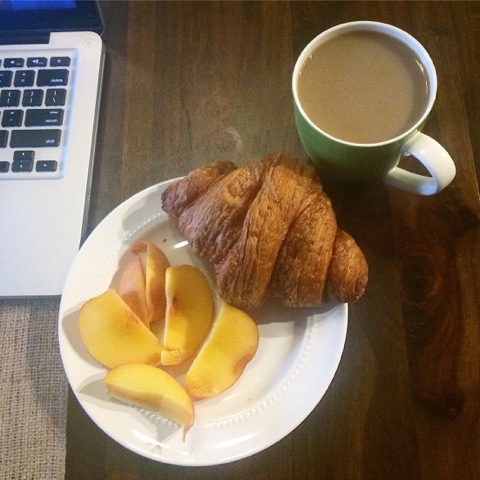 I've been all about a good weekend breakfast lately-- especially the kind that's heavy on the carbs. It's not the best for me, I know, but it must be something about the chilly weather that makes me crave all things bread. So when I woke up early this past Sunday I decided to make a homemade breakfast while Alex slept in a little later with whatever I had in my kitchen. My go to ingredient for shortcut breakfast cooking is definitely Bisquick... 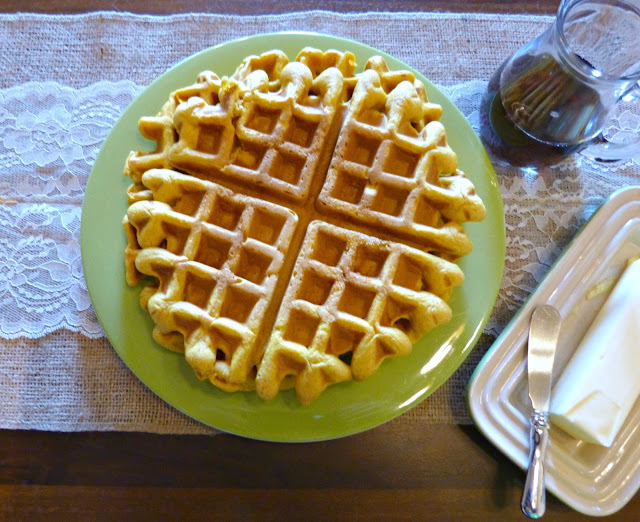 This was a staple in the pancakes and waffles I grew up eating and while I love the idea of a homemade buttermilk pancake in theory, Bisquick just makes it so darn easy to put together a hot breakfast! In addition to the Bisquick, I located a can of pumpkin purée and my trusty pumpkin spice seasoning and decided that pumpkin spice waffles were the perfect breakfast for that fall Sunday. 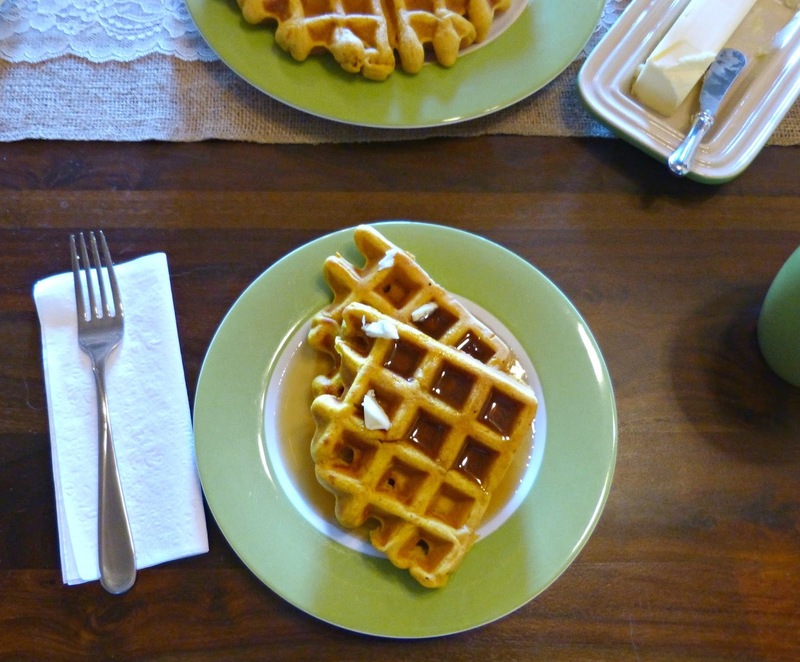 The pumpkin gives these waffles a dense cakes texture along with a beautiful color. And the spice blend makes them just taste like "fall." They tasted perfect topped by real maple syrup (a breakfast ingredient that no shortcut "pancake syrup" compared to! ), but would also be great topped by toasted pecans, cinnamon apples, or a little fresh whipped cream. Whip these up for your family on Halloween or Thanksgiving morning for a festive fall breakfast! 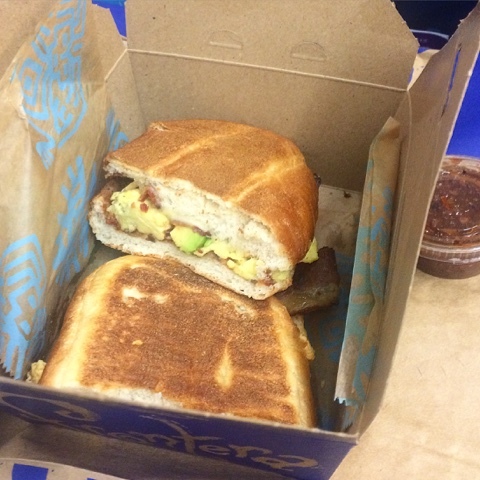 And be sure to make extras-- they reheat perfectly in the toaster! Preheat waffle iron and coat lightly with cooking spray. Whisk all ingredients together in a large mixing bowl. Pour batter directly into center of hot waffle iron. Close lid of waffle iron. Bake for about 5 minutes or until steaming stops (or according to the directions for your waffle iron). Carefully remove waffle and serve warm. 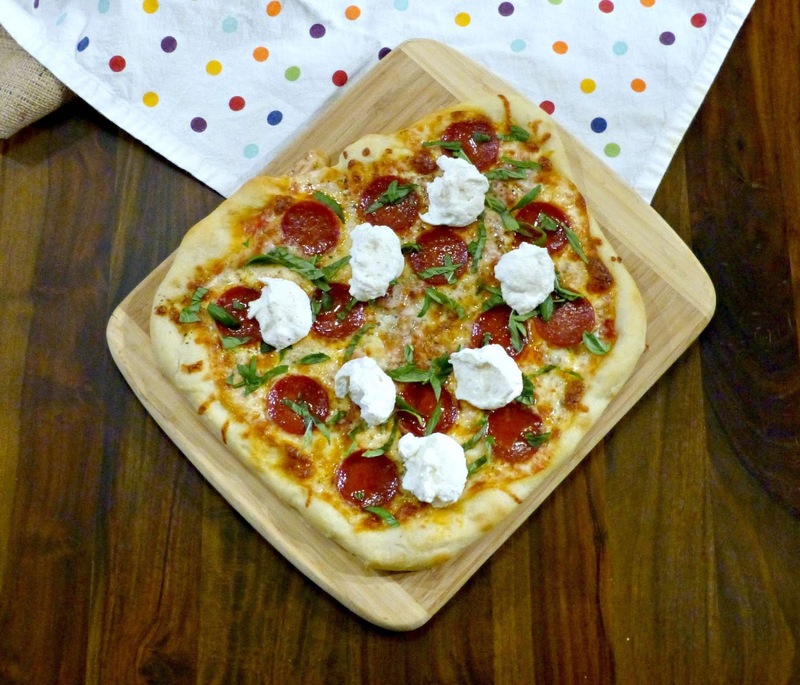 This dressed up version of pepperoni pizza is the perfect way to elevate your favorite delivery dinner and turn it into something that's different and worthy of serving to company! I love pizza. But truthfully, pepperoni is rarely my top choice for toppings. Pepperoni can sometimes be too greasy or salty for me and I usually prefer my pizza topped with veggies which is boring, I know. That said, when Alex and I were recently at Coalfire Pizza for dinner I saw this pizza arrive on the table next to ours and I couldn't help but feel a little order envy. A pepperoni pizza arrived in front of our neighbors with a sprinkling of fresh green arugula and the prettiest little piped spirals of whipped ricotta. I was jealous, hungry, and inspired all at the same time. 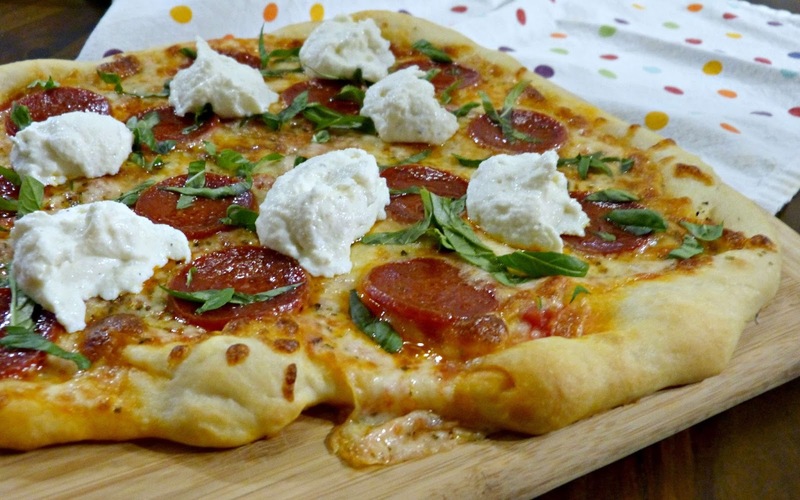 So, I decided to do my best to recreate this gorgeous pizza at home and the result was not only delicious, but a really beautiful presentation for an otherwise simple pizza. This pizza begins with one of my favorite cooking shortcuts: fresh pizza dough from Whole Foods. 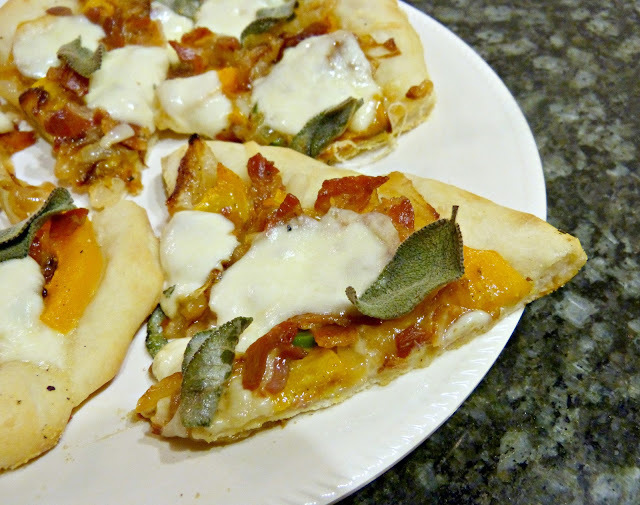 Almost every pizza recipe you've seen on this blog have begun with this amazing shortcut because A. It makes homemade pizza on a weeknight and B. Baking with yeast is a skill that I cannot seem to master. Beyond that, the pizza building continues like your standard pepperoni pie: a simple tomato sauce, shredded mozzarella, and sliced pepperoni (I splurged on the good kind from the deli). The real magic happens after the pizza baked and its topped with a sprinkle of fresh sweet basil and dollops of lightly seasoned and freshly whipped ricotta. Whipping the ricotta completely changes its texture from thick and dense to airy and velvety. Dotted on the pizza, it adds some great texture, richness, and of course, totally elevates the look of your pizza! Roll pizza dough out on parchment paper to approximately 1/2-inch thickness, using a little olive oil to ensure the dough doesn't stick to your fingers while handling. Set aside. In a small bowl, combine tomato sauce and Italian seasoning. Use a spoon to spread over the top of the pizza crust, leaving a 1/2-inch border around the edges. Sprinkle mozzarella evenly over the top of the sauce and follow with an evenly spaced layer of pepperoni. Bake for 10 minutes or until crust is golden and cheese becomes brown and bubbly. 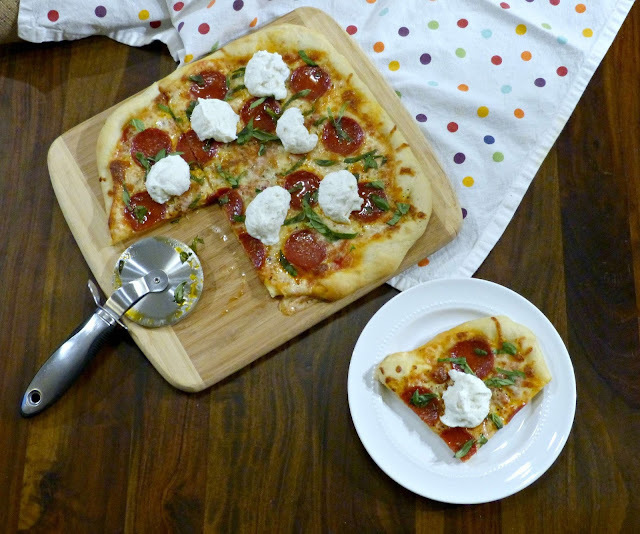 While the pizza bakes, add ricotta to a medium mixing bowl and season with salt and pepper. Beat with an electric mixer at medium speed for 4-5 minutes until ricotta is light and fluffy. Remove pizza from the oven and allow to cool slightly. 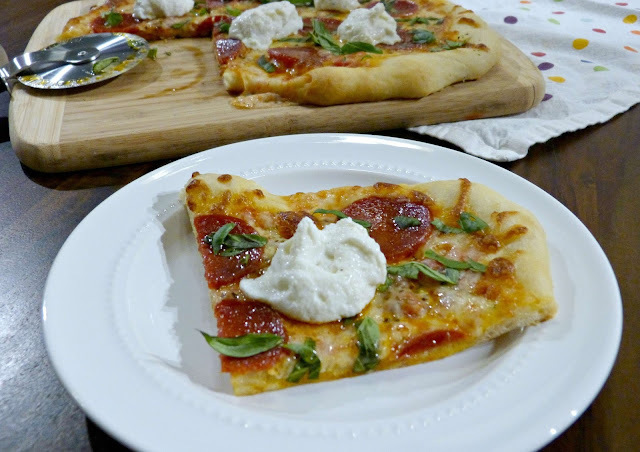 Sprinkle basil over the top of the pizza and drop a few heaping spoonfuls of the whipped ricotta evenly on top. As I have mentioned before, the opportunity to travel is definitely one of the perks of my day job. 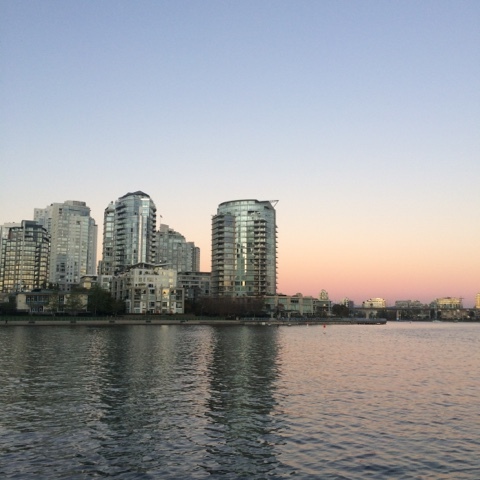 And being able to check Vancouver, BC off my travel bucket list was a highlight, for sure. While I don't normally have a ton of personal time to spend during my work travel, the trip from Chicago to Vancouver was a long one (and not the most convenient) so we ended up in the city mid-day Sunday with no work commitments until Monday morning giving us a few solid hours to explore the city. And while an afternoon isn't nearly enough time to do much more than scratch the surface of this amazing city, we did get to experience a few of the great things that Vancouver has to offer. The architecture in Vancouver is amazing and I snapped tons of pictures to share with Alex while I was there. So much of it is new construction or has popped up since the winter Olympic games were held there. I'll definitely be bringing Alex back again someday to explore it further. 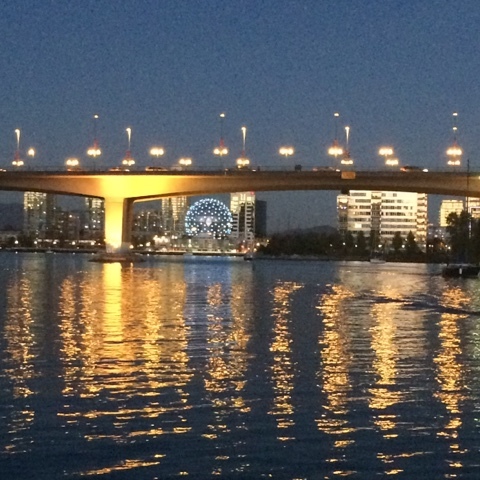 One of the most unique things about Vancouver is how much of it is right on the waterfront-- connected by a network of rivers and inlets, we found it easiest to get around the city via their various tugboat and ferry taxis. The ferries were the perfect way for us to quickly get from the Granville Island Public Market back over to the downtown area. And the lights/views on the water at night were so beautiful. 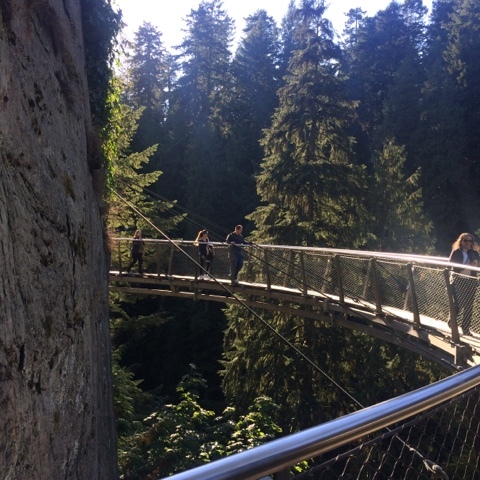 We also headed just north of the city earlier that day to check out the Capilano Suspension Bridge Park. While crossing the giant suspension bridge got a little scary in a few places, the views were gorgeous and unlike anything you'll see or experience here in the Midwest! 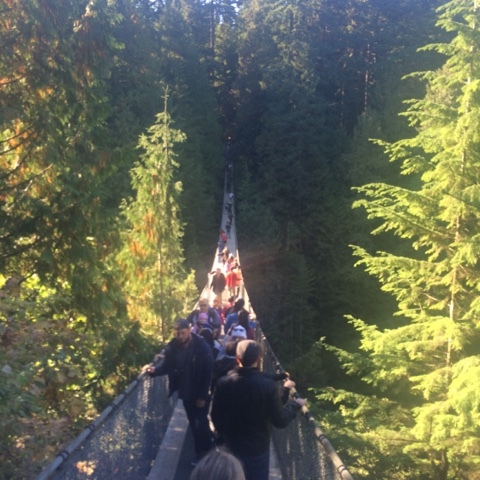 Along with the main suspension bridge, there is an entire network of bridges and platforms the connect through the tall Douglas Fir trees in this wooded areas. They provide great (and sometimes terrifying views) down into the valleys and woods below-- some from as high up as 110 feet above ground. And it was a serious workout! 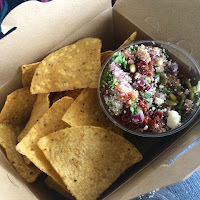 And on the food front, I have another post coming your way featuring a great restaurant meal that we enjoyed while in Vancouver. 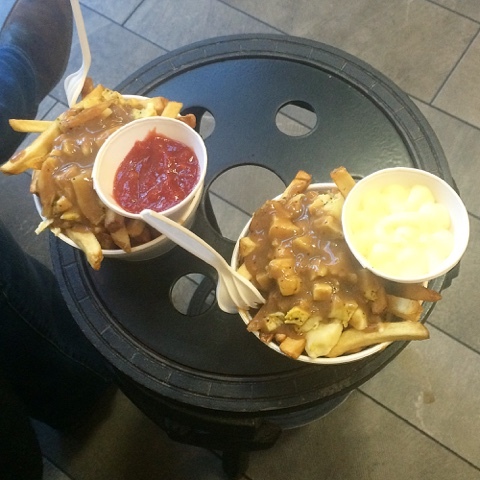 But one thing we were on the hunt for while in town, was the best poutine. 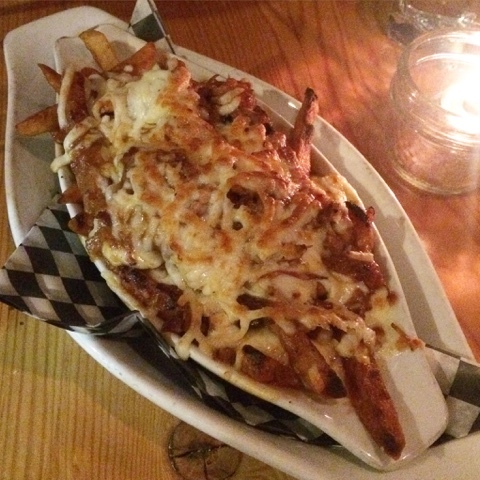 Poutine is a uniquely Canadian [guilty pleasure] dish, so my boss polled a few bartenders and locals while in town to find out their suggestions. 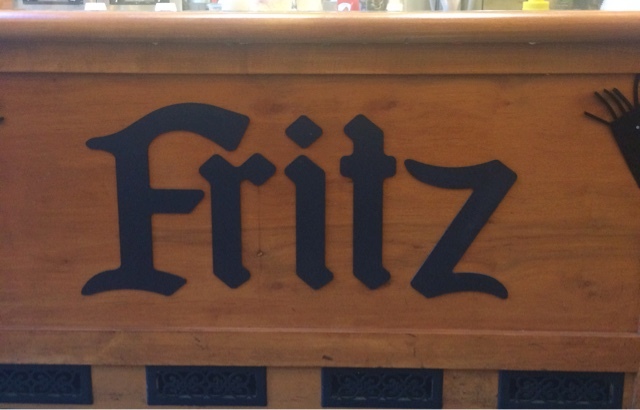 The unanimous response was that Fritz European Fry House in the city's Yaletown neighborhood was home to the best. So, we had to check it out! 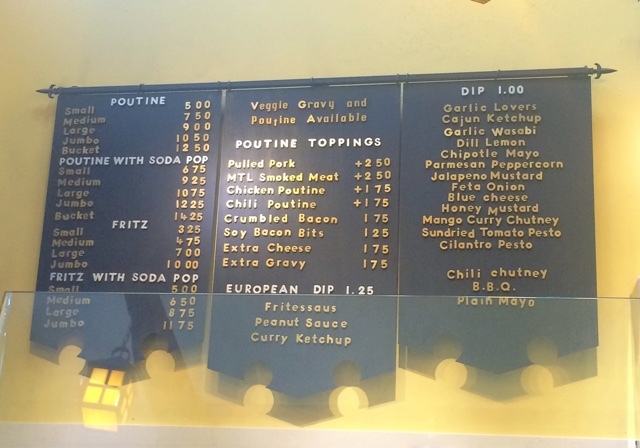 While tempted to customize my poutine with some of the delicious options that Fritz offered, I decided to go pretty traditional with my order: cheese curds, chicken gravy, and a little Frittessaus (basically mayo or aioli) on the side. Stephanie also went traditional, but subbed in non-dairy cheese with a side of their spicy curry ketchup. Now, most of you know that I'm not a huge fast food lover but this poutine was really well done with crunchy fresh cut fries, a thick salty gravy that tasted like the real thing (not the kind of gravy you'd normally expect at a fry house that's open late night), and stringy melty cheese curds. It's not gourmet and it's definitely not light... but it was really good! 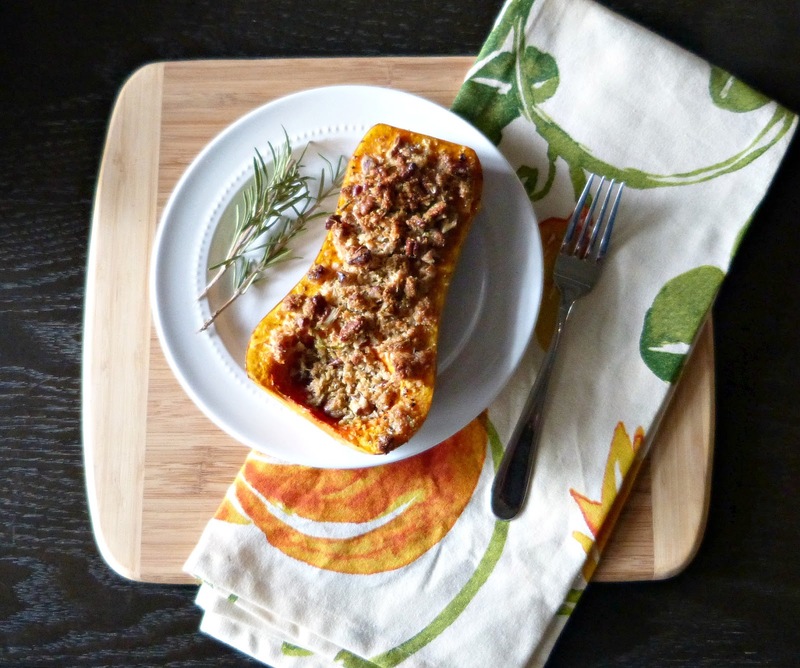 Pumpkin spice-flavored everything aside, one of my favorite fall food trends is slow cooking. 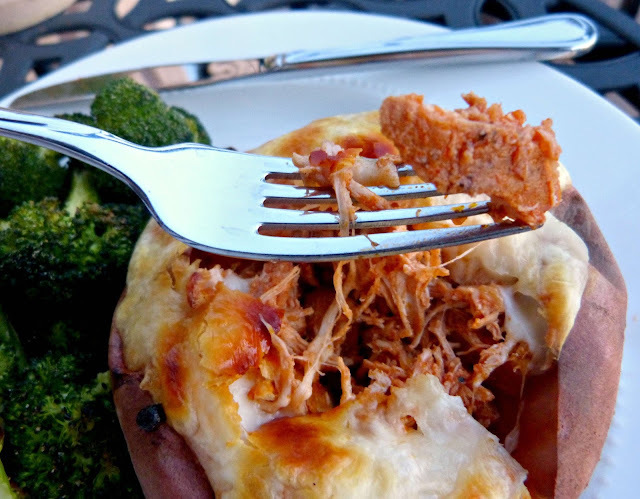 This is the perfect time of year to break out the slow cooker so that you can take it easy after a long day of work and have a comforting flavorful meal at the ready when dinnertime arrives. 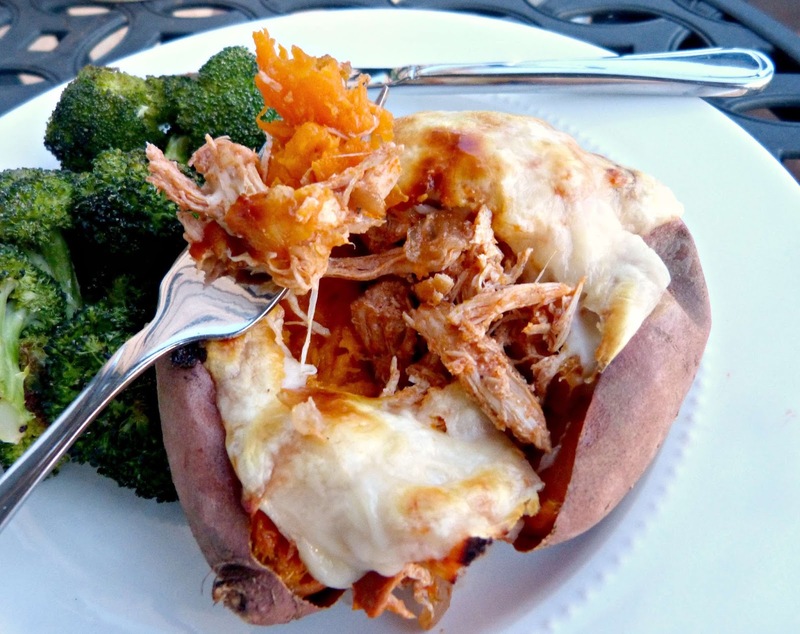 This recipe is one of my favorites to break out during slow cooker season. Alex loves Buffalo chicken wings and while I hate the act of eating wings (ugh, so messy! ), we can both agree on enjoying the tangy heat of Buffalo sauce. 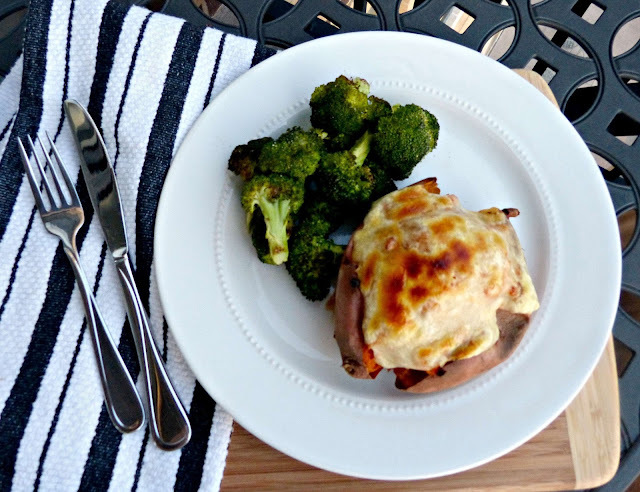 And it's such an easy way to add flavor and moisture to plain boneless skinless chicken breasts. Prepared in the slow cooker, these chicken breasts become tender enough for pulling and perfect for stuffing into sandwiches and wraps, topping a salad, or even incorporating into Mac and cheese or nachos. I, for one, love stuffing this spicy chicken into a baked potato for an easy and filling weeknight dinner. Place chicken breasts onions in an even layer in the base of a slow cooker. In a medium bowl, whisk together chicken broth and next 8 ingredients (through salt and pepper) until fully combined. Pour over the top of the chicken and onions in the slow cooker. Cook on low for 6-7 hours. Remove the chicken breasts from slow cooker and use two forks to shred it. Transfer shredded chicken back into to the slow cooker to keep warm. Rise and scrub potatoes well to remove excess dirt. Pat dry and pierce the exterior of each potato with a pork in 4 or 5 places. Place potatoes directly on a middle rack in the oven and bake: 40-45 minutes for sweet potatoes and 50-60 minutes for a baking potato. Potatoes should be fork tender when done baking. Remove from oven and allow potatoes to rest until cool enough to handle and slice each potato open lengthwise. Stuff open baked potato with the shredded chicken and onion mixture. 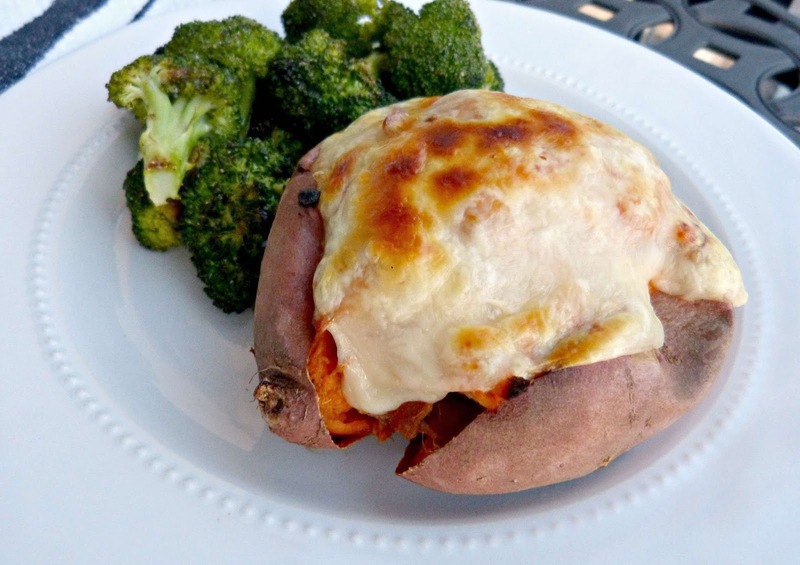 Top with 1-2 slices of cheese and broil for 3-4 minutes, until cheese is browned and bubbly. 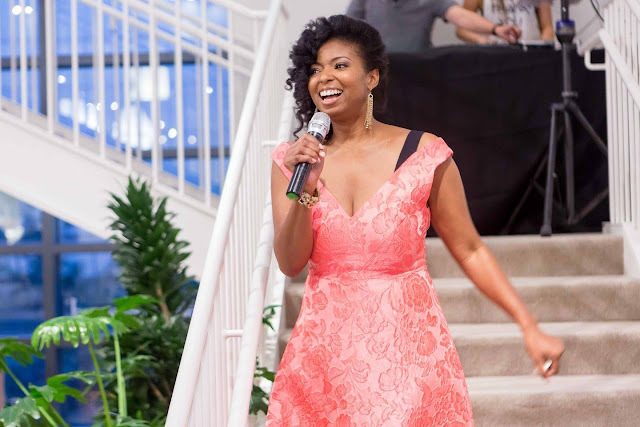 The adorable Jocelyn Delk Adams-- a fellow Chicago food blogger-- released a cookbook! If you're not familiar with her blog Grand Baby Cakes, I would highly recommend taking a peak. 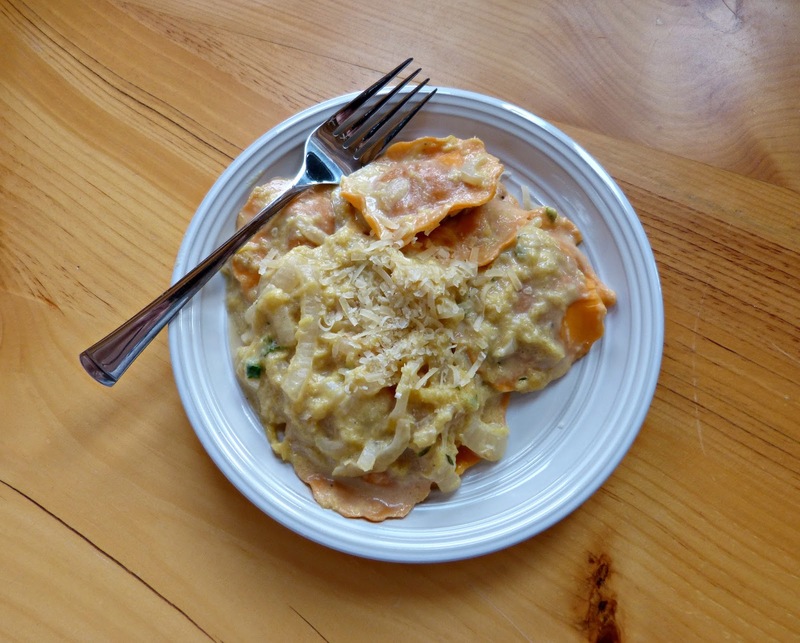 Jocelyn posts some really amazing recipes and is known for her baking. The cakes and desserts that this girl comes up with are really beautiful and her cookbook is equally stunning! 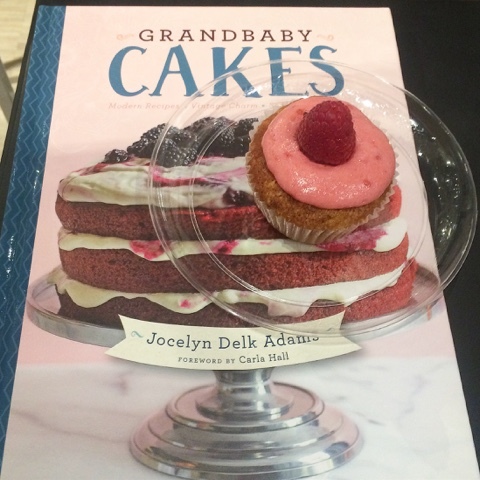 Jocelyn recently hosted an amazing book launch party at Room & Board in Chicago, complete with delicious samples of several of her recipes (prepared by Le Cordon Bleu students), a cake walk, and book signing. Check out her book-- it would make an excellent holiday gift! 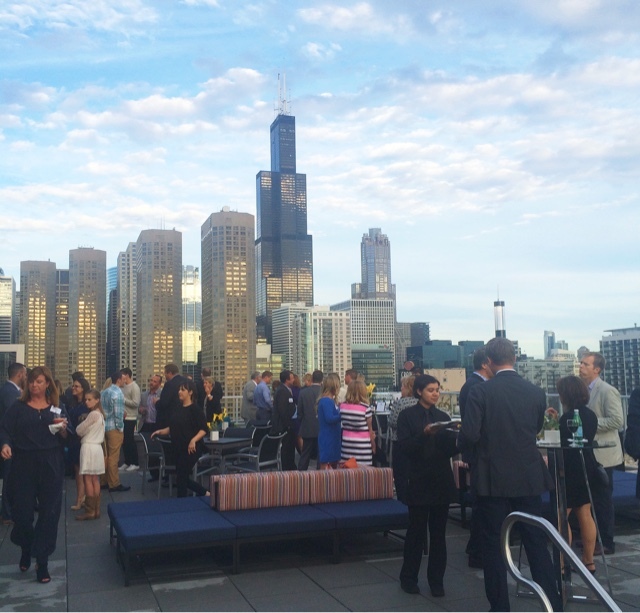 On a beautiful late summer evening I headed over the West Loop for the grand opening party at Gateway West Loop, a brand new luxury apartment tower. #ProudWifeMoment: it was Alex's project! The party was fabulous and the building us absolutely stunning. It's so fun as a former architect and as the wife of a current one, to walk through a finished project. Months and months of work go into the design of projects like these that being able to walk through it and see it all come together is so amazing. So, if you're looking for an amazing apartment in the West Loop, check this building out... the units are gorgeous. 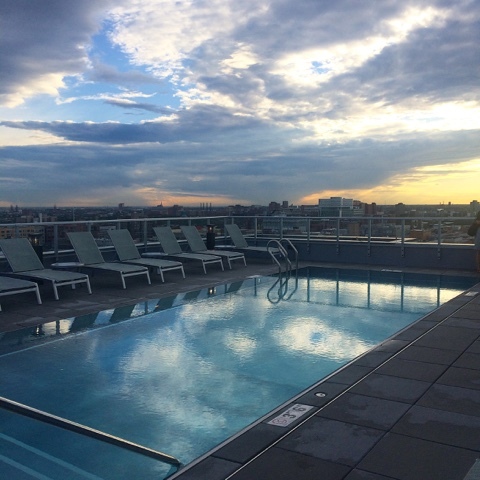 And just look at that rooftop pool! Enough said. Sometimes being a food blogger allows me some great tasting experiences without even leaving the comfort of my own home! I'm especially grateful for these opportunities at this time of year when I'm traveling so frequently and missing out on some of the great foodie events happening around the city. 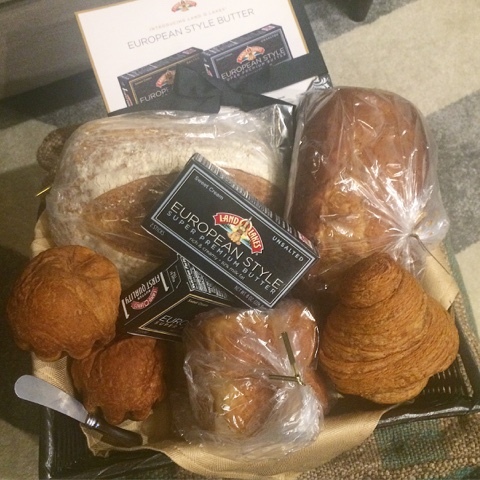 So, when Land O'Lakes offered to drop off a basket of baked goodies from Little Goat Bakery in order to best experience their brand new (and completely delicious) European Style Super Premium Butter. European style butter is made with fresh sweet cream and then churned for a higher milk fat content. That process gives the butter a creamier texture and richer flavor. I have cooked with the butter and I have baked with it and it was delicious, but I have to tell you that this butter is best enjoyed slathered on warm toasty bread. Or on this (already buttery) big croissant. Also on Sunday, it was the 1-year anniversary of the day we brought Clery home! Alex and I both have a hard time believing that he's only lived with us for a year because it feels like he's been a part of our lives forever. Although I guess it wasn't really that long ago that this 15 lb. furball moved into our condo (and then proceeded to pee on and chew up several parts of it), wake us up for 2 AM potty breaks, and run circles around our couch until he would be overcome with exhaustion and pass out on the hardwood floor. He's grown into 65 lbs. of pure (mostly) well-behaved goofball and we just love him! Oh yeah, and did I mention I've been traveling a bit lately? 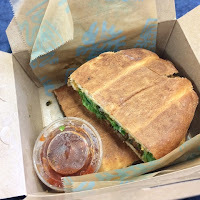 I've been spending a considerable amount of time at Chicago O'Hare, where it can be difficult for a foodie like me to find good food. Thank goodness for chef Rick Bayless and Tortas Frontera or else I'd be eating fast food burgers... or starving. If they offered a stock option for this restaurant, I should consider buying in. Soup season has officially arrived, so ladle yourself a bowl and enjoy this crisp fall weather! I love making homemade soups in the cold weather months-- especially when I have a long lazy Sunday to let it simmer for hours. Life has been busy lately though and I haven't had tons of time at home to cook low and slow batches of soup. 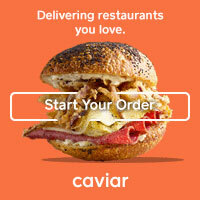 So, instead I've been looking for some faster alternatives that use clever shortcuts to achieve a similar rich slow cooked flavor in less time. 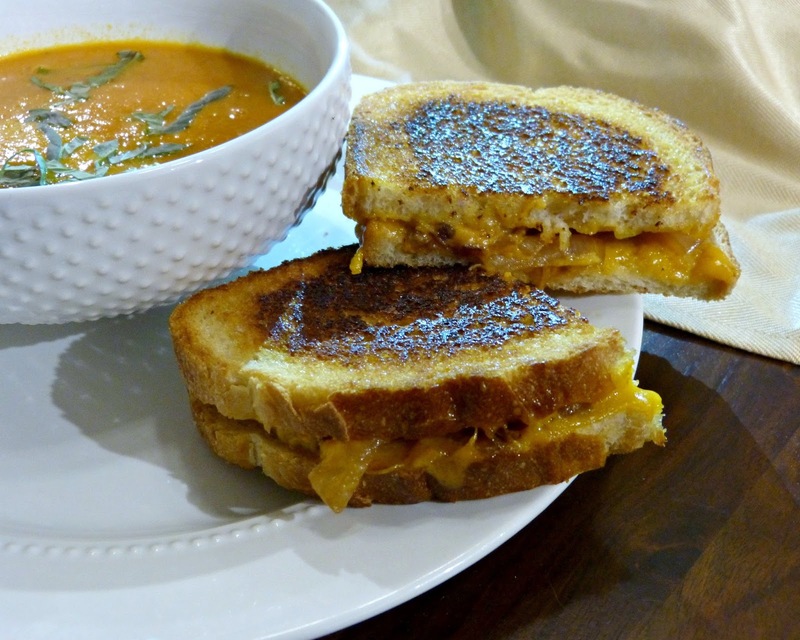 In order to get there faster with this tomato soup, fresh tomatoes, onions, and garlic are roasted until lightly caramelized, bringing out some deep sweet flavors. 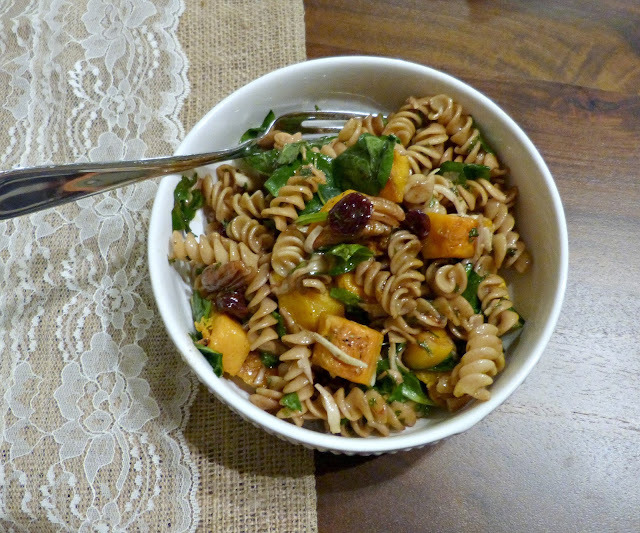 The ingredients are simple, but flavorful-- and it all comes together in just under an hour. 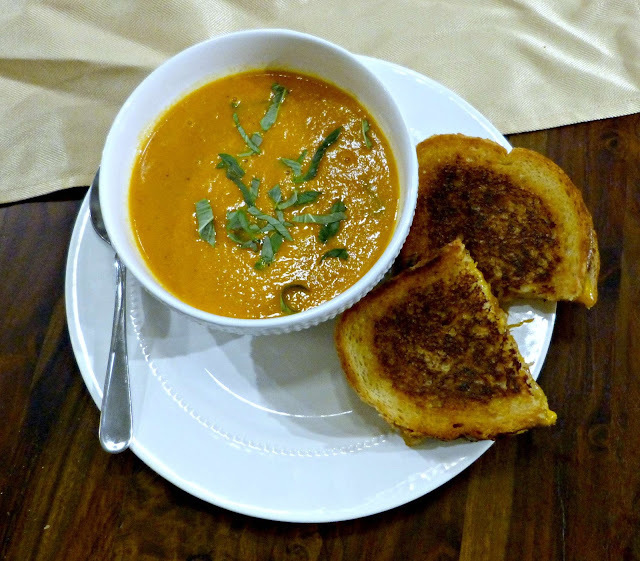 I have tried many a homemade tomato soup recipe, but this was for sure one of the best-- it is even husband-approved! And the amount of flavor is deceiving: you'll definitely think this soup was slow simmered all day. And because nothing goes better with a hot bowl of tomato soup than a gooey grilled cheese sandwich, stop back tomorrow for a tasty sandwich recipe to accompany this warming roasted tomato soup! Slice all of the tomatoes in half and place on a large rimmed baking sheet. Quarter the onion and add to the baking sheet, along with olive oil, Kosher salt, and pepper. Toss well to coat all the vegetables with evenly with oil. Roast in the oven for 35 minutes. Carefully scoop the contents of the baking sheet into a large stock pot, including any liquids. Pour in the vegetable stock and add the bay leaf and red pepper flakes. Bring mixture to a boil, reduce heat, and simmer for 15 minutes, stirring occasionally. Stir in half the basil leaves and simmer for another 5 minutes. Remove from heat and discard the bay leaf. Next, you'll want to puree the soup: You can do this directly in the pot with a handheld immersion blender or by carefully ladling the mixture into the base of a blender and pureeing until smooth (in batches, if needed). If pureed in the blender, pour back into the pot and heat until warm. Season with additional salt and pepper, to taste. 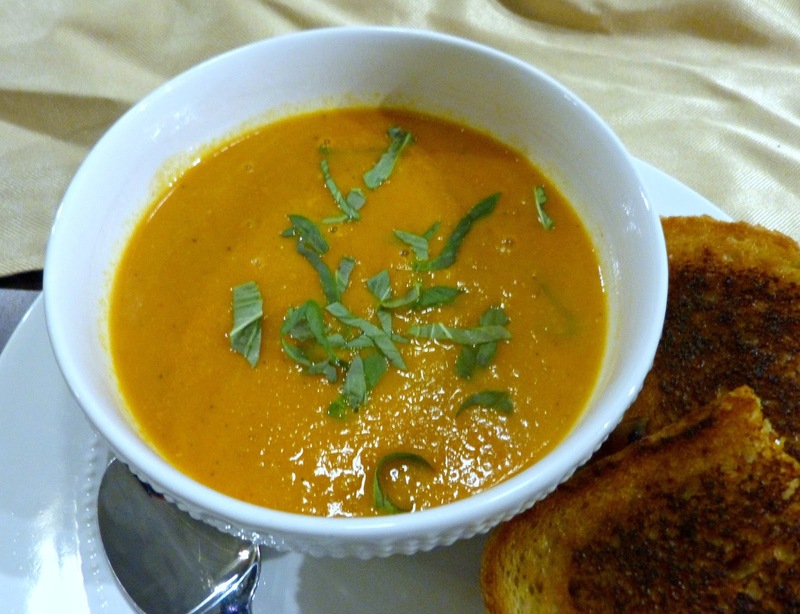 Ladle into soup bowls and garnish with remaining basil.